The Hadith was not sent by God JAHTruth.net/hadith, and those who follow it fail the real-Muslim test. 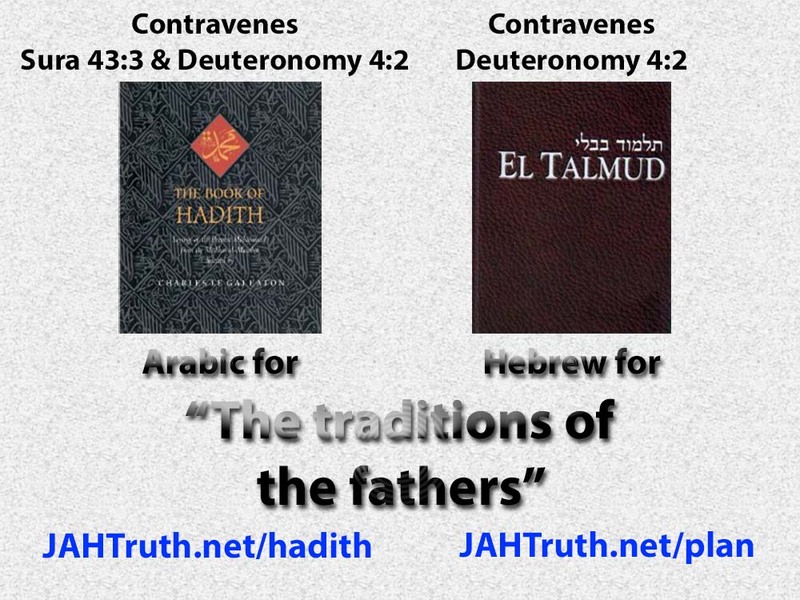 The Talmud was also not sent by God JAHTruth.net/illumin. See how the banksters (movie jforjustice.net/banksters) base their actions on it. The Authorised 1611 king James Bible and The Holy Koran are the True Books from God and they have now been harmonised with each other in the King of kings’ Bible by JAH JAHTruth.net/kofk-free/Bible.